Blue-headed or Blue-throated Conures are native to eastern Brazil, from Bahia to the south and up to northeastern Sao Paulo. 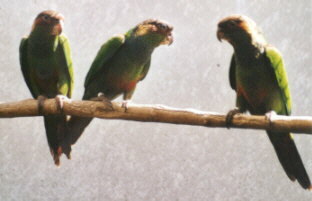 The Blue-headed Conure is one of the most beautiful feathered gems among the Pyrrhura species. It is also the biggest with its 11 to 12 inches and the only protected species which is also recorded in the CITES list I. During the last couple of years this species has become very common in captivity. However, in the wild these true forest dwellers are severely threatened. Their natural habitat, the forests along the Atlantic, has almost entirely been chopped down. They mostly feed on tree-fruits and sometimes visit cornfields which have replaced the chopped forests. 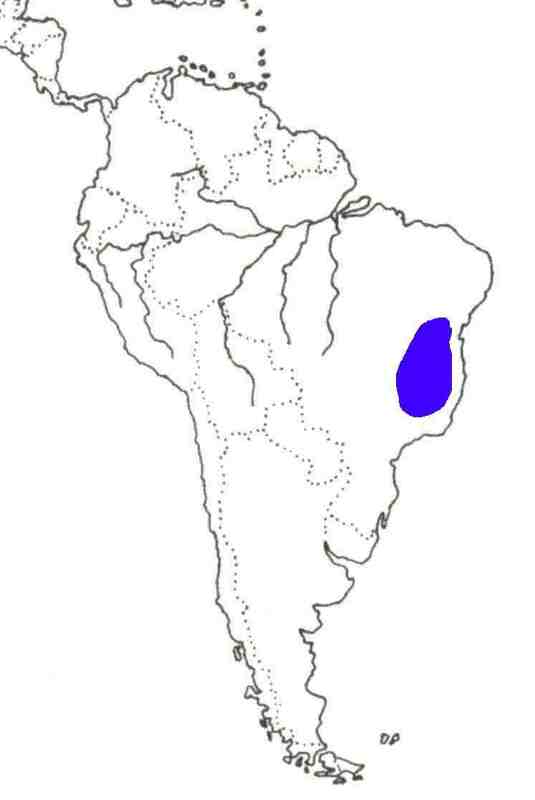 In some countries, the Cruentata has been taken off List I, since they are believed to have sufficiently adapted to their new habitat. Again, this species has different names; the British originally referred to them as ‘Red-rumped’, because of the reddish brown spot on their belly, but nearly every Pyrrhura species has this spot. Their first Dutch name was ‘red-eared Parakeet’; this doesn’t make any sense either. We can conclude that the best way to refer to them is by their Latin name, like all other Pyrrhura species. Cruentatas require a spacious dusky aviary of minimum 8.5 ft long. 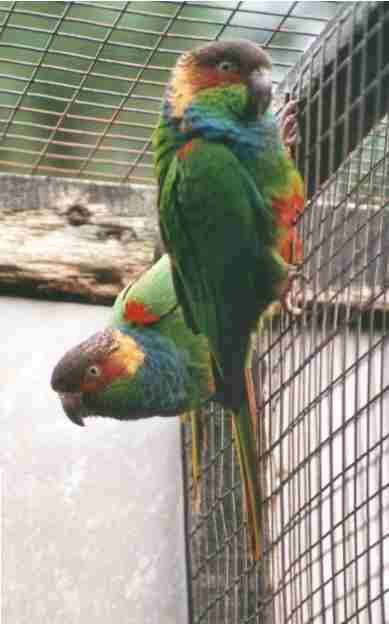 They aren’t suited for breeding boxes, since they are very lively and love to fly around in their aviary. It’s a pleasure to observe their threatening behaviour when they defend their territory. Both male and female spread their wings, raise their neck-feathers and contract their pupils. A beautiful show which they perform while you are just about 90 ft away. They make duller, louder and shorter noises than the other Pyrrhura species. Their nest boxes should be attached in the darkest corner of the aviary, with the entrance whole to the darkest side. The average clutch size is rather large, sometimes they lay up to ten eggs. This can cause problems, when the pair has to feed so many chicks. Possible solutions are to move some chicks to another breeding pair or to hand-raise a number of them. Experience has taught me that only a very limited number of females are born. Why is a mystery to me.